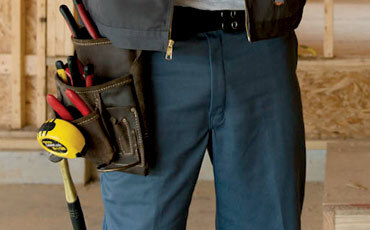 This carpenter jean is a popular choice for those who prefer a looser fit with more room through the seat and thigh. Classic carpenter details include hammer loop, dual tool pockets, and deep front pockets. Triple-stitched, heavyweight denim for added durability. 20" bottom leg opening. 100% heavyweight cotton.